The first ever issue of “The Scribbler” is now live! I’m so excited to share this with you guys! 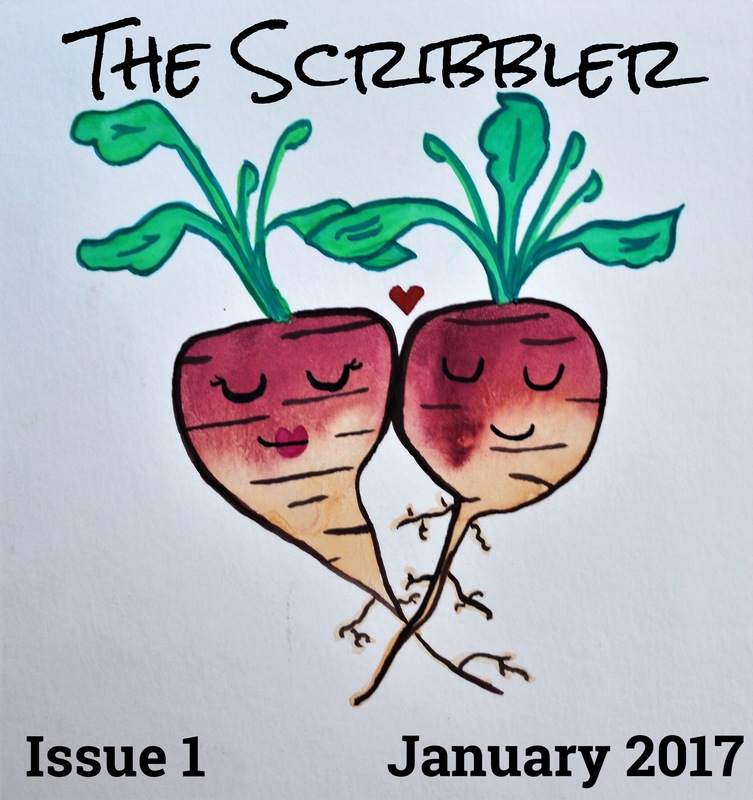 In case you haven’t caught my previous updates, “The Scribbler” is a free monthly zine full of original illustrations and writing. Quirky, silly, and fun, this lighthearted project is like a mini-magazine about a varied host of wacky characters. You can get your copy at Patreon.com/cmcoxwrites in a free PDF download. Please share it with your friends! As a celebration of the release of “The Scribbler”, all of my Kindle eBooks are available for FREE! Starting tomorrow, January 31st, and until 11:59pm on February 4, 2017 you can visit amazon.com/author/cmcox to download your copies. Just a reminder: you do not have to own a Kindle to read Kindle eBooks! These books can be read on your desktop, tablet, or phone via free applications. Thank you guys so much for following along and reading my work. I would love to hear what you think of the first issue of “The Scribbler”! Please drop me a line and let me know when you’ve finished reading it.